Chunky Monkey Ice Cream - FIXATE style!! One of my fave Ben and Jerry's flavors, I haven't eaten it since I started my clean eating journey. Well, now I can work it into my meal plan!! All it takes is blending frozen bananas and peanut butter in my Vitamix to get delicious, tasty ice cream. Autumn Calabrese, the creator of 21 Day Fix and 21 Day Fix Extreme, wrote a cookbook called FIXATE. The greatest feature of this cookbook: It gives the container equivalents for each recipe!!! 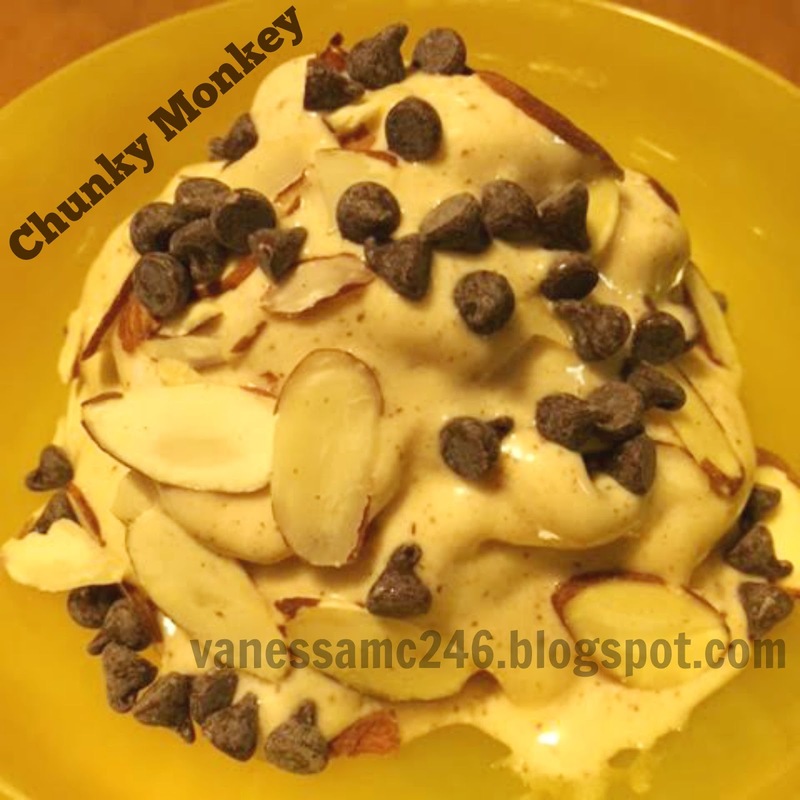 This recipe took me a whopping 5 minutes to make, and I didn't really have to plan, as I have all the ingredients as staples in my home, as well as a weekly supply of bananas in my freezer to have the versatility of mixing them into my Shakeology or any other recipe, like this one! I'm so glad I purchased this cookbook, because so far, every recipe I've made has been quick, easy, and delicious! Check it out for yourself. 2. 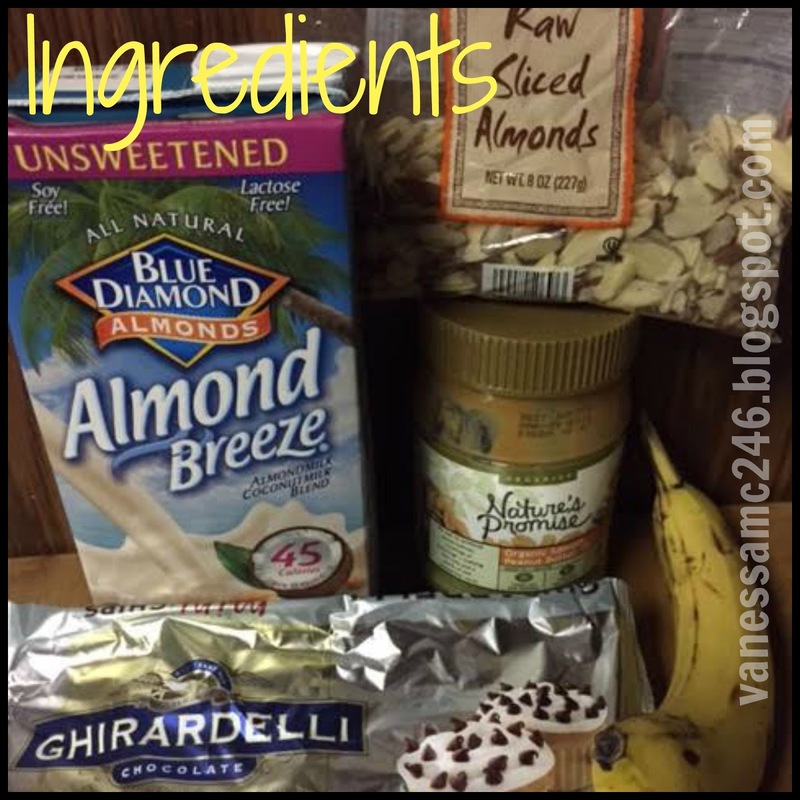 Place frozen bananas and peanut butter in blender or food processor. Blend until smooth. 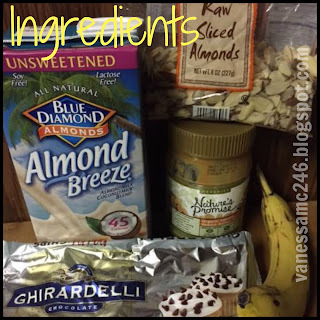 Add 1-2 TBSP almond milk for creamier texture. 3. Divide ice cream evenly between four serving bowls. 4. Top evenly with almonds and chocolate. It's 5:00 p.m., you're leaving work and haven't thought about what to make for dinner. Or, you get home from work, open the fridge and wonder what the heck am I going to eat? What am I going to make for my family? Then you cave and order take-out! y anxiety would increase over what I could prepare quickly for dinner. This was not how I wanted to live! I needed a change, and discovered with a little bit of planning, I could make my dinners with only slightly more work as ordering delivery pizza, but with less anxiety and healthier ingredients! 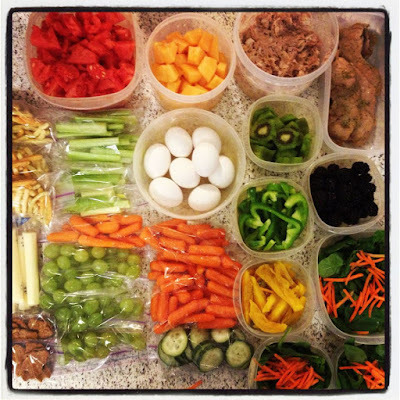 Prepping food can set you up for a week of healthy eating. Prep on Sunday in less time that it takes to watch the latest episode of your favorite show and you'll have a week of totally delicious and healthy breakfast, lunch, and dinner options. This works to keep your health goals on track and keep your sanity with a busy schedule. AND you'll save money and time in the kitchen, and have healthy food on hand to power through your workouts and your work week. Before you prep, write out a quick meal plan. Start with dinners, then go from there, trying to use dinner components or left-overs for lunch the next day. Choose two of these and make enough for the week. 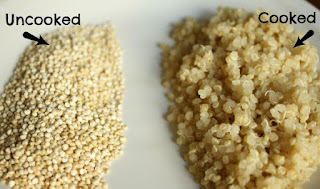 One cup quinoa or brown rice to two cups water. If you make quinoa, make sure to rinse it before cooking. 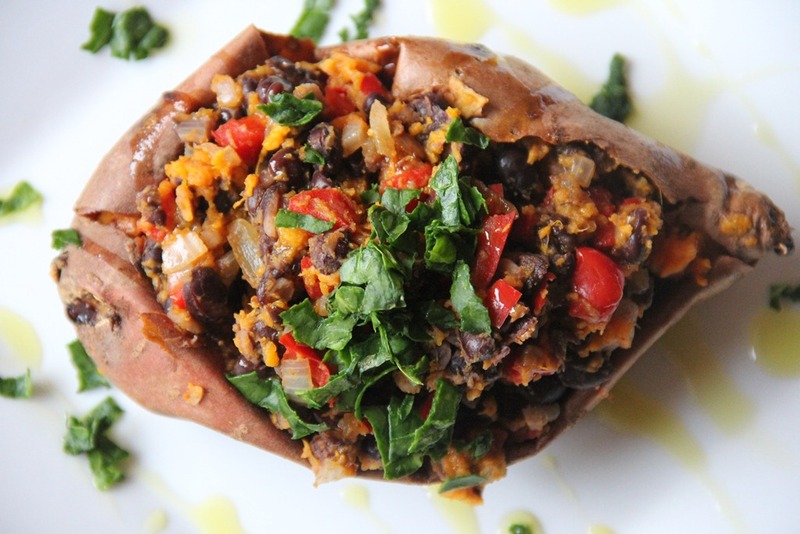 Bake 3 sweet potatoes in the oven, or even quicker, put them in the microwave. Make it the base of breakfast and add fruit, nuts, cinnamon, and a splash of almond milk. Add a bunch of chopped veggies, some beans or chicken, and serve over fresh greens. Chop parsley, cucumber, and tomatoes, add olive oil and lemon juice and serve as a side to grilled chicken, or fish. 1/4 cup of avocado, chopped tomatoes, and cooked ground turkey. Spaghetti squash or zoodles (zucchini noodles) deliver the same noodle like texture and comfort-food fix for almost 100 less calories per cup. It's a great replacement for pasta, and while my family doesn't eat it, I make pasta for them, and zoodles for me, and we eat the same sauce or toppings. For spaghetti squash, cut it in half, and roast it (425 degrees for about half and hour), then scoop out seeds. Or even quicker, pierce it wit a fork several times and cook whole in the microwave for 10-12 minutes. 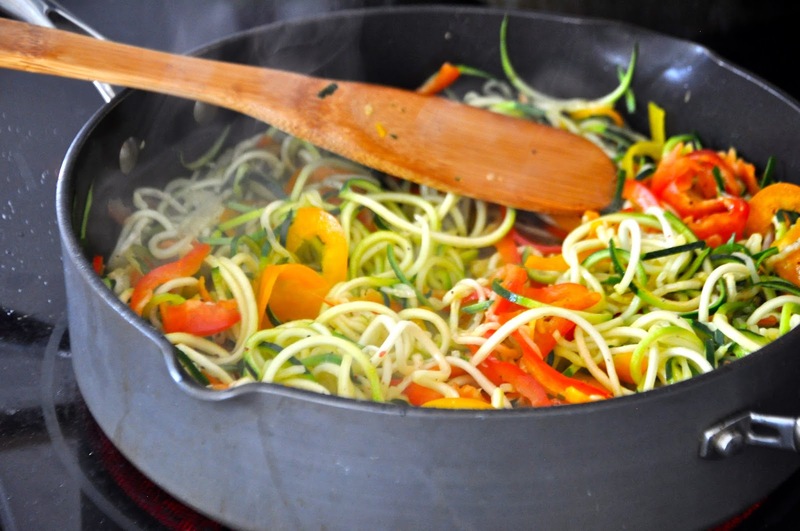 Zoodles: buy them premade or buy a vegetable spiralizer. I spiralize them, and sautee with a little olive or coconut oil and garlic, and have them for the week. Chop peppers, celery, cucumbers, onions, carrots (or just get baby carrots), broccoli, de-stem kale (or buy baby kale), snap the ends of green beans, and prep any veggies you like that you and your family will snack on, or you will use for cooking. Have them ready to eat or cook. Wash salad greens. Store in airtight container with a paper towel. Place veggies for snacks in single portion containers or baggies, to make packing lunches a cinch! Add chopped veggies to salads, quinoa, brown rice, frittatas, or anything else you can think of! Roast with garlic and olive oil and have it as a quick dinner side any night. If I don't wash and destem the strawberries, they will sit in the refrigerator drawer until they rot, and then I throw them in the garbage. Wash and destem strawberries, wash any other berries (I wash all produce with a one part vinegar/three parts water solution in a spray bottle to make sure I remove all bacteria and pesticides, even washing organic produce). Cut up melons or any other fruit to take on the go. 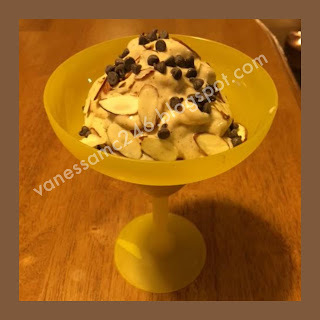 Freeze bananas and grapes for quick healthy desserts. Place furit in portioned containers. Ready to grab and go, to back for lunches, or when the kids are looking in the fridge for a quick snack. Grill, bake, roast, or sautee enough chicken breast for the week to add to salads, zoodles or spaghetti squash, shred and use for tacos, chop into stir-fries, or make a no-fry chicken parm. Make it the main course for Sunday dinner(like Mediterranean Chicken), but make enough for the week. Make into turkey burgers or turkey muffins, and use them as dinner one night. Crumble into salads, pasta sauces, tacos. Slice in half and put on paninis with cheese and tomatoes. If canned, add them straight from the can to recipes. I'm not a big meat eater, but sometimes my husband likes a steak on the grill. On Sunday, I'll place it in a ziplock with marinade ingredients. Cook to your liking and chop to add to recipes. Cook steel cut oats in water: one cup oats to two cups water. Use in oatmeal bowls for the week, adding prepped fruit, cinnamon and protein powder. 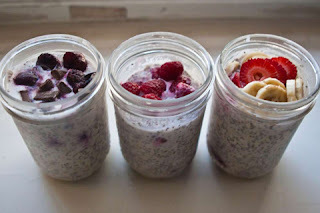 Don't cook, and portion in individual containers with almond milk and favorite fruit, nut butter, cinnamon, nutmeg or other faves to make no-cook refrigerator oatmeal. 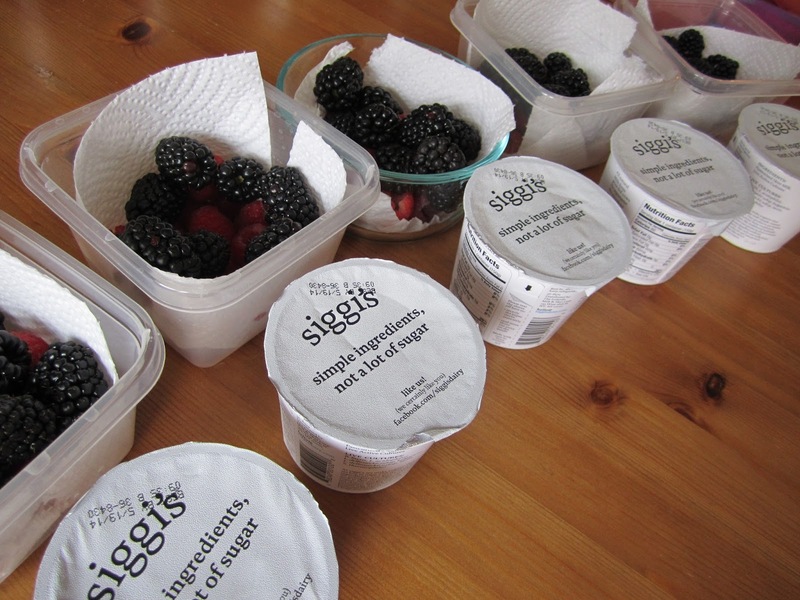 Grab and go in the morning. Make baked oatmeal muffin cups, and have one per day per family member. Hard boil a dozen eggs, and peel them for quick protein. I hope this helps make your week run more smoothly. Would love to hear if any of these tips helped you and please post if you have any additional tips! Want more tips and tricks for busy women? Fill out the form below to get information on my next accountability group! On August 24, I will start a 30 day fitness and nutrition accountability group for BUSY WOMEN! I know what you're thinking: You couldn't possibly fit anything else on your calendar for the fall. You are already over-committed, over-scheduled, and overwhelmed with obligations. But don't you want a change from that harried moment to moment lifestyle, where thinking about making dinner doesn't happen until 5:00 p.m. and the stress level rises, because you haven't an idea of what to make? Aren't you tired of starting the day saying to yourself that you will work out and eat healthy today, but the end of the day comes and it still hasn't happened? You vow to do it the next day, and the next. I want to challenge you. While fall is a busy time of year, it offers the opportunity for new habits and routines. I will show you step by step, how you can fit in exercise and healthy eating, not just for yourself, but for your family too! 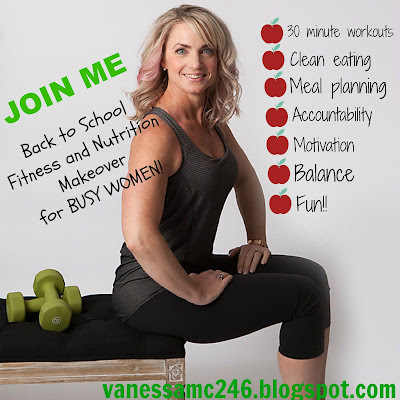 I will be coaching and motivating you when it comes to sticking with exercise and clean eating, but I will also share my dirty little secrets of a busy working woman. All my tips and tricks that help me keep my head above water, I will share with you. 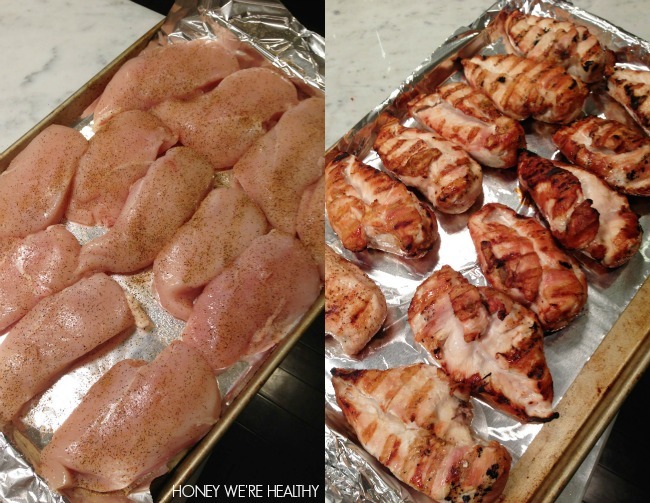 I will also be working on some easy meal plans with healthy quick dinner recipes. 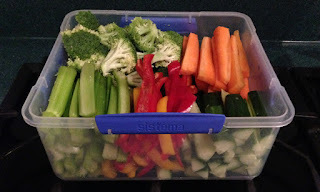 In addition I will throw in a little bit of healthy lunch box ideas and stress busters. This is something that you can't afford not to try. Invest in you and make yourself a priority again! And if you’re thinking you just can’t do it or it won’t work for you then I CHALLENGE you to give me 30 days. Follow the meal plan, drink your Shakeology EVERY DAY, press play to a 30 minute workout and hold yourself accountable and I PROMISE you the results will follow! The group starts on Monday, August 24! My first 3 new challengers who purchase a challenge pack from now until August 16 will receive a FREE copy of the 21 Day Fix Fixate cookbook.